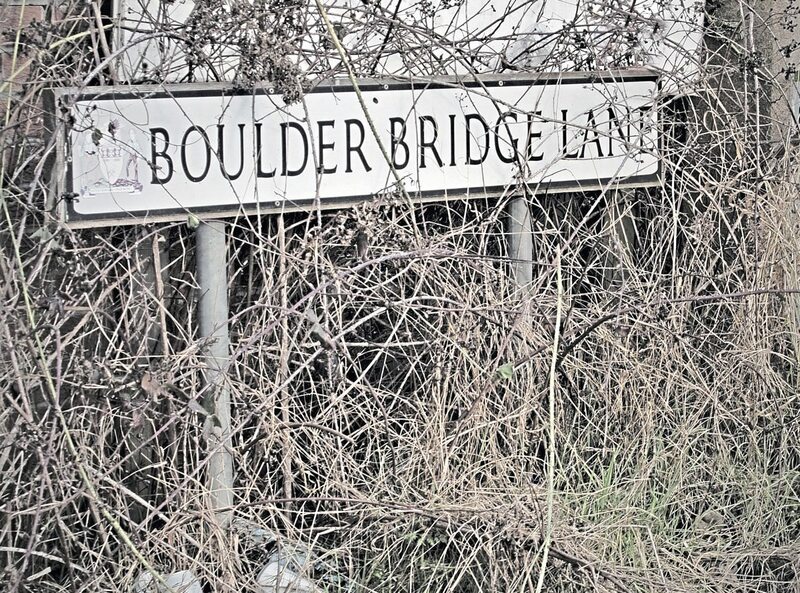 Boulder Bridge Lane near Barnsley is the stuff of legend; the place where buses and coaches meet their maker. 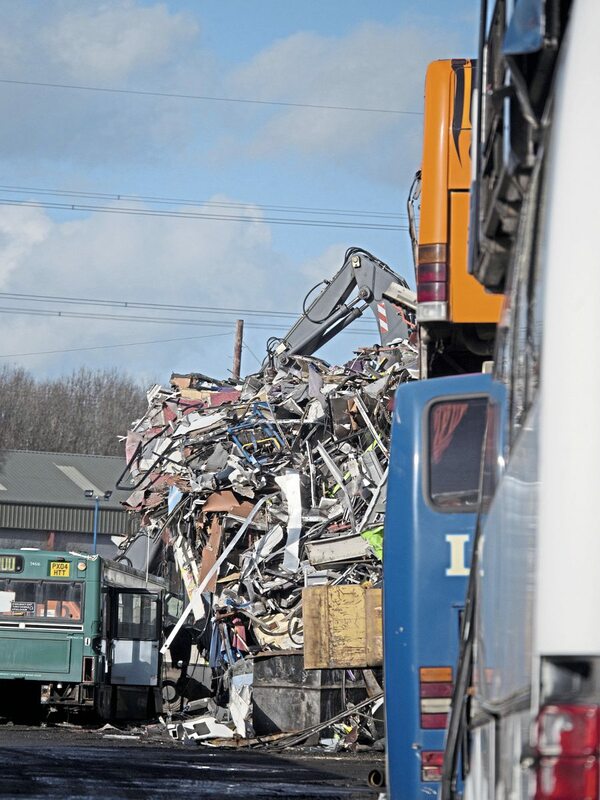 On the face of it, breaking up PSVs may seem a simple act of destruction but, as we discovered, it’s actually a complex and risky business, paying ahead for raw materials which may fall in value overnight. Exactly how so many dismantlers – at one time, at least eight – ended up in one, short dead-end road seems to be a tale of ‘unwelcome’ businesses shoved out of sight. The truth is, the industry would be in deep trouble without them. Pulling into PVS Barnsley, it is immediately apparent how well-organised the business is. Formed in 1960, PVS Barnsley is a family-run business headed by joint MD, Geoff Laverack and Phil Hollinshead. Geoff’s father, Brian, first started the business in South Elmsall. Brian was dismantling buses even in these early days. He got into this trade by running scrap metal from a yard nearby into Sheffield. He then bought an end-of-life bus, which he then dismantled and, in Geoff’s vernacular, “that’s how he set off”. He started this is South Elmsall, but moved to Goldthorpe in 1968/69, before moving to the current site in the early ‘70s: “Together with Tommy Goodwin, dad was one of the first dismantlers on this site,” says Geoff. “There were eventually eight or nine dismantlers here; they put us all in this spot, out of sight.” Joe Sykes will be another name remembered by some operators. One of his major customers is FirstGroup, for which PVS has a disposal contract, but he also works with the other national bus companies. That causes its own issues. Contracts are agreed weeks before the buses reach the yard: “There’s no set price, and we can’t set a price. Metals can be one price today and another price tomorrow. At the end of the day, a company like us can easily lose money because when you tender on today’s market, you might not get the buses for another three months. 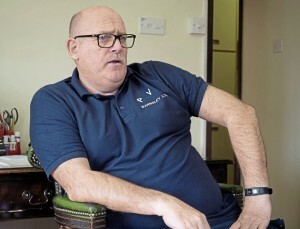 “We bought buses off Stagecoach once, which we got six months later. Metal prices dropped that much, we didn’t really want them, but we took them on anyway. If you give that word and then go back on it, it gives you a bad name.” B&CB did a quick check; processed aluminium has been as low as £1,420 a tonne and as high as £1,640 a tonne in the last six months. Scrap prices are much lower but the fluctuation is just as stark. Vehicles came from across the country, with Devon one of the furthest destinations the company’s wrecker had reached. But this was before tachograph rules ensured such a trip had to be done over two days’ of driving, which Geoff said makes it unprofitable to travel too far north, west or south of Barnsley. He said he has worked with the Environment Agency to put together a consignment document for waste transfer, which comprises of three parts. They have worked to create a single document for the three segments. However, complying with these regulations is just a part of the business. Geoff said: “We’ve had to do it, and we get audited every year. We have had to come to FirstGroup standard. When we have vehicles come in, they are classed as end of life vehicles (ELVs). The land you’re based on has to be fully environmentally friendly, they do come round and check. Another issue is with the price of steel. Geoff said: “I believe a lot of Chinese steel is laundered through Turkey. China has been flooding the market. The stuff they have brought in, though, is rubbish. Nobody makes steel like us; we’re good at it – British steel!” says Geoff, who sees the loss of most of the smelters in the UK as a major oversight. Most scrap goes on to freighters leaving Liverpool docks. 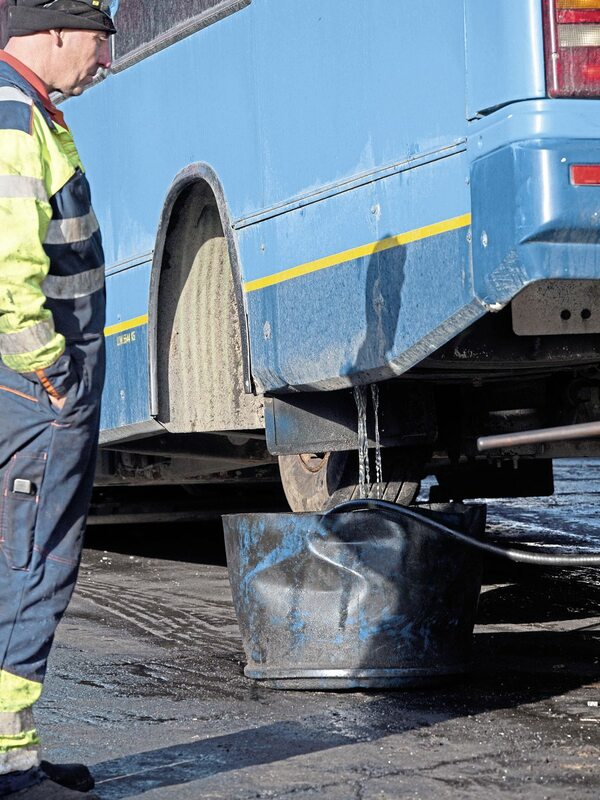 The process of disposal at PVS Barnsley starts with the removal of diesel, oils and coolants, which is done in the specialist depolluting area. This area has a sealed surface. 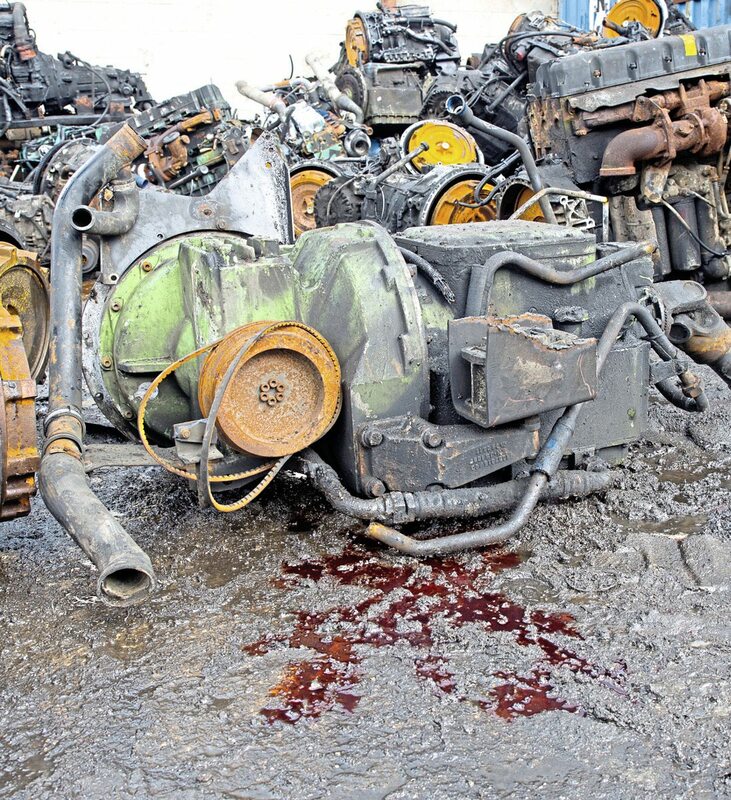 The upside is that the recovered diesel can be used for the company’s own trucks and machinery. “But you don’t get a lot of diesel out of them,” he said. As a fire safety precaution, the business does not use cutting torches after 4pm. The latent heat can re-start fires an hour later, which is not something the business wants when everyone apart from the night watchman has left the site. Getting to grips with these vehicles as they do, at the rate of ten vehicles a day, the dismantlers know them inside out, seeing parts of the framework others do not. 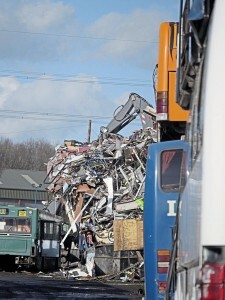 It tends to be the service buses that PVS specialises in dismantling, although he does do some coach. Steel-framed coaches are tough, reassuringly for passengers, but a nightmare to pull apart, says Geoff. whats next for the cutting torch? 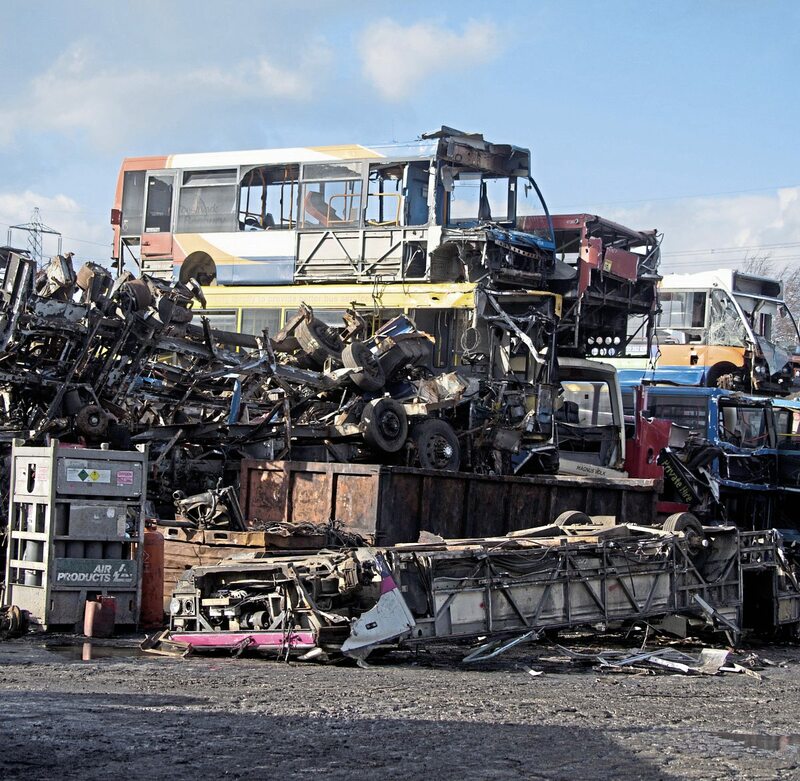 Just around the corner from PVS Barnsley is Trevor Wigley & Son, the next stop in our tour of dismantlers. Originally set up by its namesake in the early ‘70s, it is now headed by Andy Smith and Mark Wigley. The latter has been working in his dad’s yard since he was a boy, so it is fair to say he knows the job inside out. Like many of the dismantlers here, the company was previously based elsewhere, which for Wigley was Goldthorpe. It was only there 12 months before moving on, entering its current site in the mid-70s. Short of cutting away all the panels, you’re never going to find out how sound your vehicles are. But that’s the business the dismantlers are in. On the service bus side, Mercedes-Benz Citaros, according to PVS, are particularly likely to decay. Mark Wigley says Tridents tend to be “pretty solid.” Of coaches, PVS said Van Hools can be particularly bad, though as premium coaches, they do tend to be kept on the road longer. 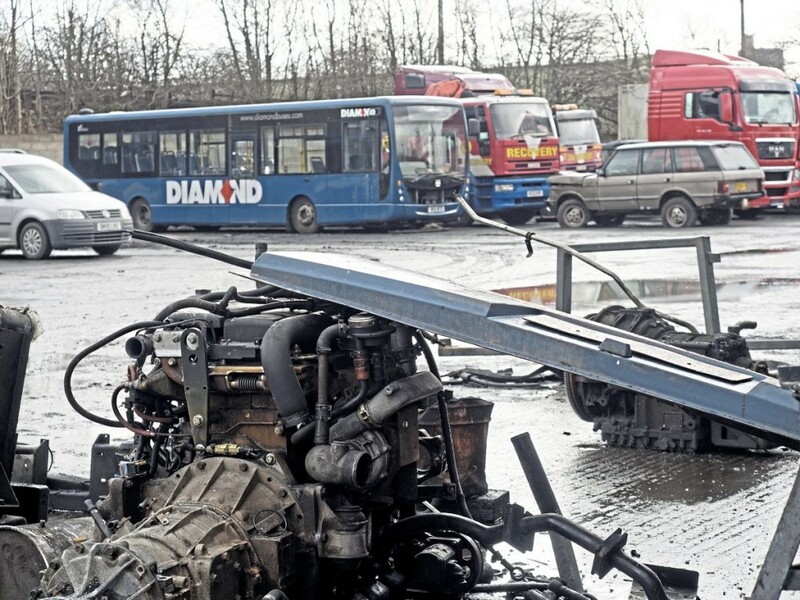 If the dismantlers agree on anything, it’s that corrosion really takes off the moment vehicles are standing still. It is not just a physically hard occupation, but there are a lot of environmental safety hoops to jump through: “We just take it in our stride, it’s part of the job. We just get on with it, just accept we have got to do it,” said Mark, philosophically. Complying with environmental safety is something the company takes seriously, with three sets of interceptors in place to catch any harmful fluids before they run off and pollute the surrounding area. One of the youngest vehicles the business had in was a Volvo B12, on an ’03 plate. However, even newer vehicles to arrive in the yard were two ‘59-plate hybrids. They had received an extensive refurbishment, but the battery pack had failed and they had been laid up. A great deal of what Wigley picks up are buses, but there are significantly more coaches in the yard than some of the other dismantlers down Boulder Bridge Lane. These are kept in stock for spare parts, some of which are obsolete and hard to come by. As to what is kept in stock and for how long, it can depend. A high-value vehicle could come in and it will replace a lower one. It tends to be the coach operators that are more likely to want parts from them. By the time we left Wigley’s yard, the sun was getting low in the sky. We had run out of time to get to the next in the row, Geoff Ripley, or call in at Alan Hardwick’s yard just round the corner. The number of dismantlers may have fallen, but what’s left are businesses which have a new level of professionalism, coupled with old-fashioned common sense. 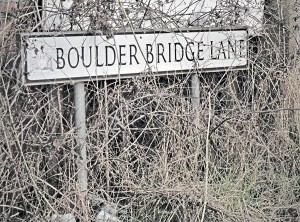 It’s no wonder the Boulder Bridge Lane yards get irritated at the ‘scrapyard’ tag; the world has moved on. What we saw were businesses which thoroughly deserve our respect… a warm community of people in the toughest job there is.